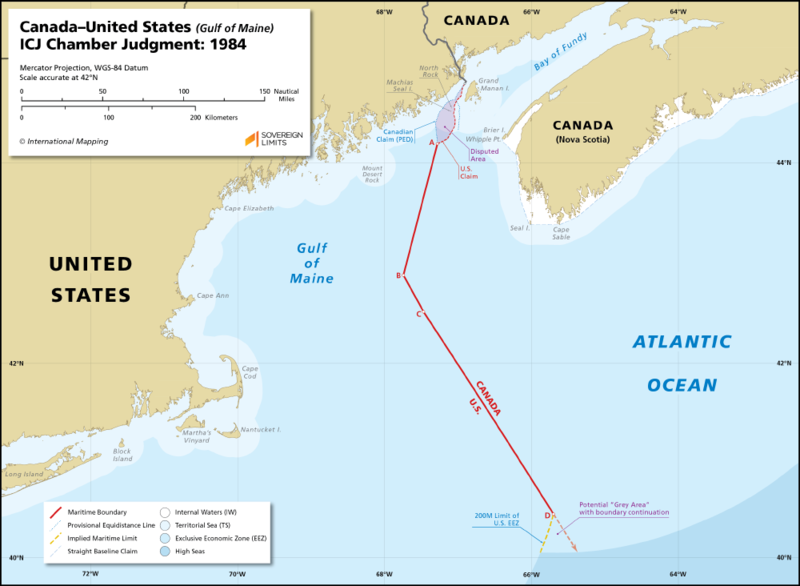 The maritime boundary between Canada and the United States in the Gulf of Maine was established following the Decision handed down by a Chamber of the International Court of Justice in 1984. A lingering territorial dispute over Machias Seal Island and North Rock has left a small maritime area near the land boundary terminus undelimited. The 1984 Decision also stopped short of reaching Canada’s 200 M limit, thus creating a potential “grey zone” situation if the final segment (C–D) were to be extended. 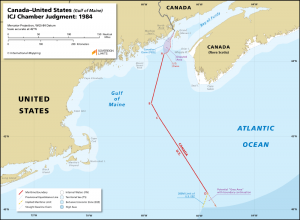 There are three other maritime areas remaining where lateral maritime boundaries between Canada and the United States have yet to be established, two in the Pacific Ocean and one in the Beaufort Sea.